Umlani Bushcamp has great staff but ranger Elvis really is something special. 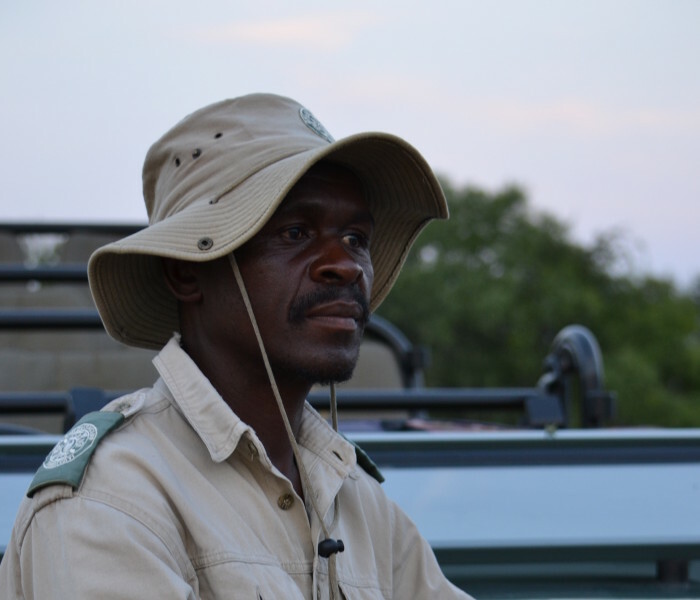 He’ll make sure you see the Big 5. My family all loved him too. My sister even took this majestic photo of King Elvis but to get a better idea of the lengths he will go to, read this great blog from a very happy guest. Katarina Mancama has her own blog called My Slow Journey but also contributes to The Good Holiday blog. She describes the guest experience at Umlani Bushcamp perfectly. She also takes great photographs! 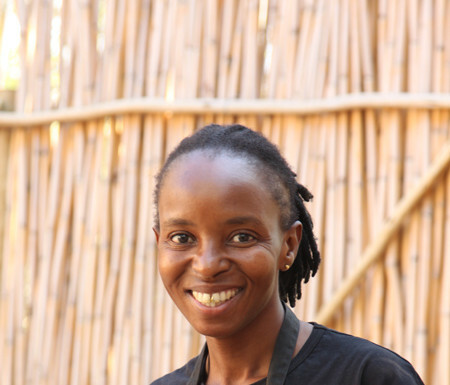 Meet Velile – a tour guide with a difference! 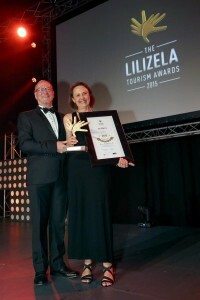 Velile Ndlumbini of Imonti Tours knows that a good tour guide can change the way a person experiences a destination. Velile grew up with a taste for travel, journeying around the Transkei often with his family. After studying tourism at school, completing a course in tourist guiding in 1998 and then freelancing as a guide in East London, Velile worked towards establishing his own company. 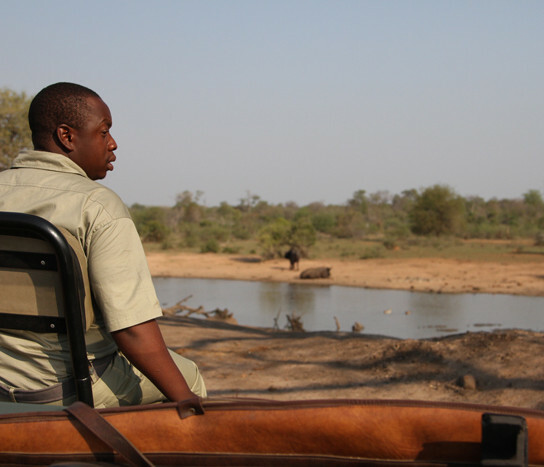 Founded in 2002, Imonti Tours began operating in 2003 and has, in addition to Velile himself, several experienced, professional and accredited tourist guides who are as committed to their province subjects – culture, arts, history – as they are to their tours. Velile has a strong passion for the Eastern Cape and its rich history and this is certainly a major contributing factor when you look at his vast experience in the tourism industry and as a tourist guide. He does, however, constantly strive to improve his skills and travels overseas every year to attend workshops and give presentations in three different European countries (Switzerland, Germany and Austria). It is through these workshops that Velile has learnt (and indeed, is continuing to learn) about different nationalities, their behaviour as a people and what they expect from a tour when in a foreign country. Velile is fully aware that tour guides are one of the key front-line players in the tourism industry and wants to not only meet visitors’ expectations, but also to exceed them. South Africa is a destination that is on the bucket list of people from many different countries around the world and, for those that have already been to this beautiful land, chances are they have left behind a piece of their heart. And for those who have visited the Eastern Cape before, the likelihood is that they haven’t just been here once, but several times. It may be a destination that people initially only associate with the late, great Nelson Mandela but once tourists experience a trip with Imonti Tours, they quickly realise that this beautiful province holds more than they ever dreamed of. Not only does the Eastern Cape have a rich political and cultural history but it also has some of the most breathtaking natural beauty which is second to none. Included in the many tours led by Velile or one of his trained guides is a Township Tour which takes tourists to both Duncan Village and Mdantsane. Although it is natural that every tourist’s experience is different, there is no doubt that these tours evoke many emotions. 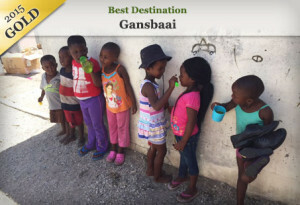 Visitors are given a glimpse into the daily life of a South African Township and are taken to kindergartens, orphanages and, if the tour is on a Sunday, church services. 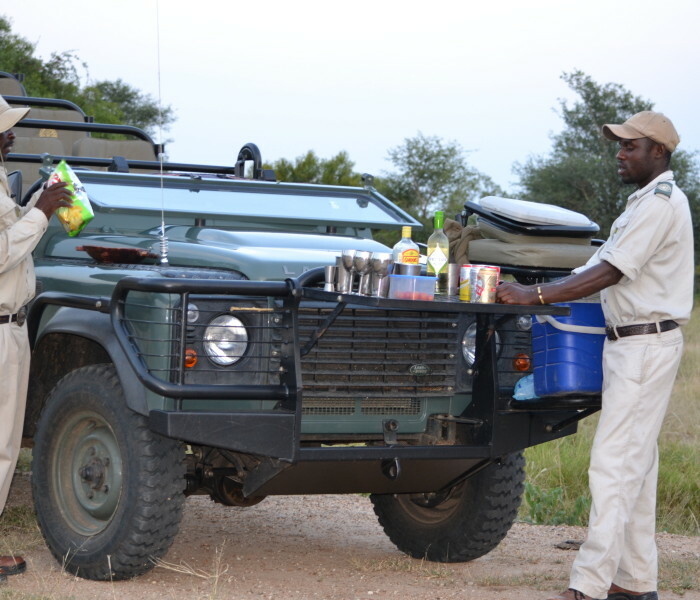 Visitors can also enjoy homemade vet kok and ginger beer with the locals. Velile’s involvement in the Townships extends to collecting clothes and other items prior to tours for distribution to the various organisations in need. Nelson Mandela is, of course, a global icon and in the year since his passing, the focus has been very much on Madiba all over the world. This Nelson Mandela Early Childhood Tour tour takes visitors to Mthatha, following in the great Madiba’s footsteps. Visits to Qunu Village where he grew up and the village of Mghekezweni where he spent the majority of his adult years are definite highlights and experiences that are not only educational but interactive too with the opportunity to spend the night. Other tours that can be enjoyed with Imonti include an East London City tour, where visitors are taken on an exploration of our beautiful city and its various historical sites; The Pride of Amatole Heritage Tour, visiting, among other historical landmarks, the Steve Biko Garden of Remembrance and then on to Alice, a city where many great African leaders received their education; and the Cultural Tour which is an absolute must to experience the daily life of the Xhosa people. No tour is the same as the next, even if you go on one in particular several times (as some visitors have in the past! ); each experience will be different, and Velile strives to ensure that through participation, visitors will really feel part of things, be it preparing and eating a traditional meal with the Xhosa people or having drinks with the locals at a Township Shebeen. Velile shares with us how the unlikeliest of friendships have been made through his tours, from tourists’ interaction with the locals. He tells us that on one particular trip to a Shebeen one Sunday in December, it was discovered that an Mdantsane man could fluently speak the language of each and every tourist in the group. The local man shared his story (in the respective language) with the guests and the tour ended up finishing two hours later than planned, due to this wonderful discovery. 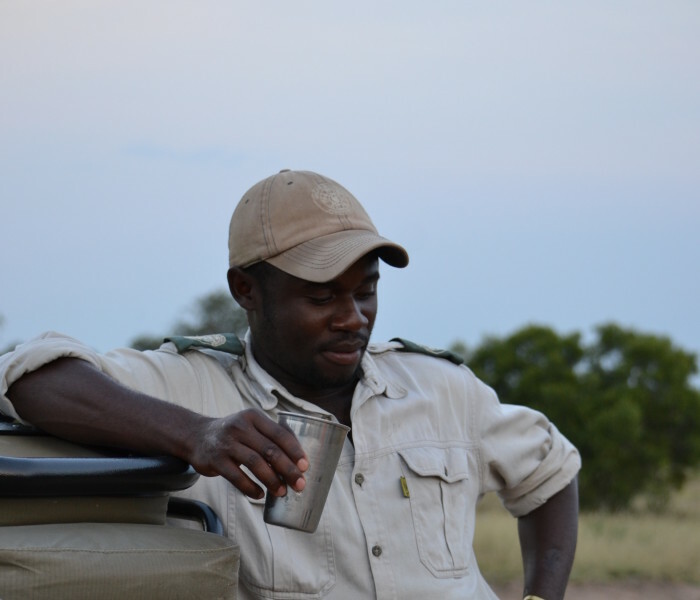 Velile has many similar stories of friendships forged on his tours and shares with us the enjoyment he gets out of seeing his guests experiencing something so special, something they will take home with them and never forget. Indeed, it is these experiences that visitors relate to others back home and why Velile of Imonti Tours has the great recognition that he so deserves. Any journey is only as good as the guide and, it has to be said, Velile is one of the Eastern Cape’s best. Katarina Mancama lives in South Africa and has a great blog on responsible travel called My Slow Journey. 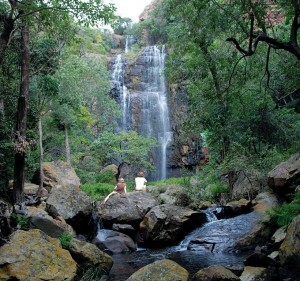 She went to Morning Sun Nature Reserve in Limpopo and brought her hiking boots. Exploring on foot is as slow as you can get of course but it’s worth it while staying at Mashovhela Lodge. 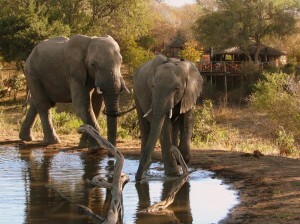 Katarina has also visited Ubuntu Experience Three Tree Hill Lodge. The Gansbaai is like an oyster that the local fishermen have opened only to discover a pearl inside – but that they then go on to share with all the world. Because Gansbaai, a town in the Overberg region, Western Cape, South Africa has transformed itself from fishing village to one of South Africa’s most exciting, and community led adventure hubs, a process that has been led by the Gansbaai Tourism Association which is one of South Africa’s most proactive and passionate clusters of tourism businesses, from fishermen to fynbos conservationists. Because at Responsible Travel we know that responsible destinations don’t just happen. People make them happen. The wholly committed members of the Gansbaai Tourism Association have been putting this coastal community and biodiverse natural heritage on the map for the last twenty years. With a small fishing village at its core, the Gansbaai group keeps growing and growing. Many of the tourism business members are Fair Trade Tourism certified, and all are committed to protecting the natural environment, preserving heritage, improving the quality of life of local people, and strengthening the local economy. Shark cage diving, kayaking, responsible whale watching, horse riding, fynbos safaris, and hiking are just a few of the holidays experiences to be had in this area that used to be just a quiet fishing village. For some great Ubuntu Experiences in the Gansbaai area check Marine Dynamics for diving with Great White Sharks, Dyer Island Cruises for whale watching and International Marine Volunteers for a holistic responsible volunteer or research experience. New ABTA research released during World Travel Market in London reveals that travel companies with a good environmental record are increasingly gaining a commercial advantage, with three out of ten consumers (29%) saying they would be likely to choose one company over another based on their environmental record, up from one in five (19%) in 2011. The survey also reveals a steady increase in the number of people prepared to pay more for a holiday with a company based on a better environmental and social record. A quarter of people (25%) said they would be prepared to do so, up from one in five (19%) in 2011, after having dropped to only 14% in 2012. There is growing sentiment amongst consumers that it is the travel company’s responsibility to be environmentally responsible. Over four in ten consumers (45%) agree with this, up from a third (31%) in 2011. Only one in ten (13%) think this is not the case. The majority of consumers (62%), also believe that travel companies should ensure that their holidays help the environment, with only 5% disagreeing. One in four consumers (40%) believe that holidays should have an environmental and social rating, such as provided by the Travelife scheme, with only 16% disagreeing. 25-34 year olds are the most likely age group (37%) to choose one company over another based on their environmental record. They are also the most likely (34%) to be prepared to pay more for a holiday with a company based on a better environmental and social record. Those with a young family are also the most likely (37%) to be willing to pay more for a holiday with a company based on a better environmental and social record. Three Tree Hill Lodge gets it right! 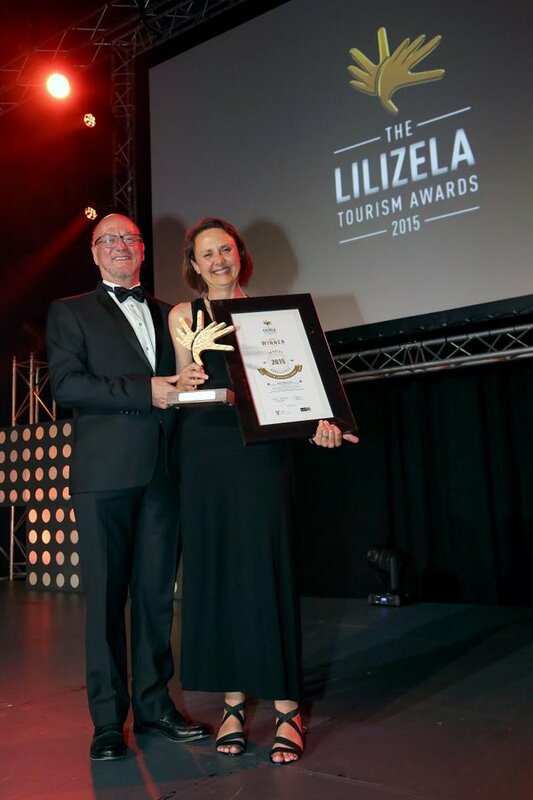 Three Tree Hill Lodge has invested heavily in social responsibility programmes. All staff receive sustainability induction training where they learn about good environmental practices, which apply not only to reducing their environmental impact in the workplace, but can also be applied in their homes and communities. Staff are encouraged to come up with ideas on improving the business as well as projects in the community. 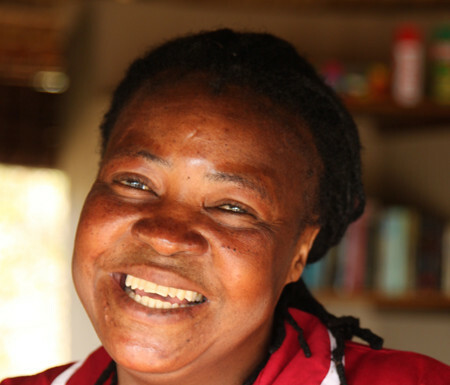 Employment opportunities are given to the local community as a first priority and subsequent training not only includes job-related skills training but also includes personal development such as; personal budgeting/savings, relationships and conflict resolution, and wellness training including HIV/AIDS through Life Line, conducted in Zulu. Read more on Marine Dynamic’s website. 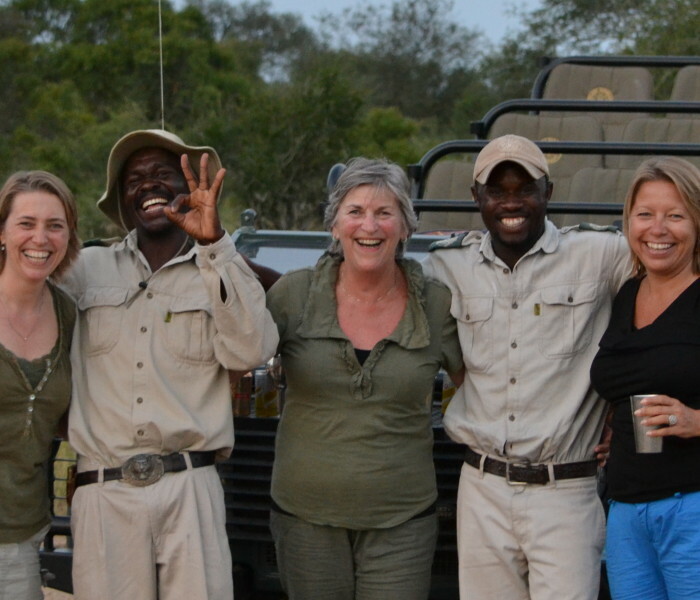 Happy staff means happy guests and is the very essence of being a Fair Trade Tourism business. Umlani Bushcamp has been getting this right for years. 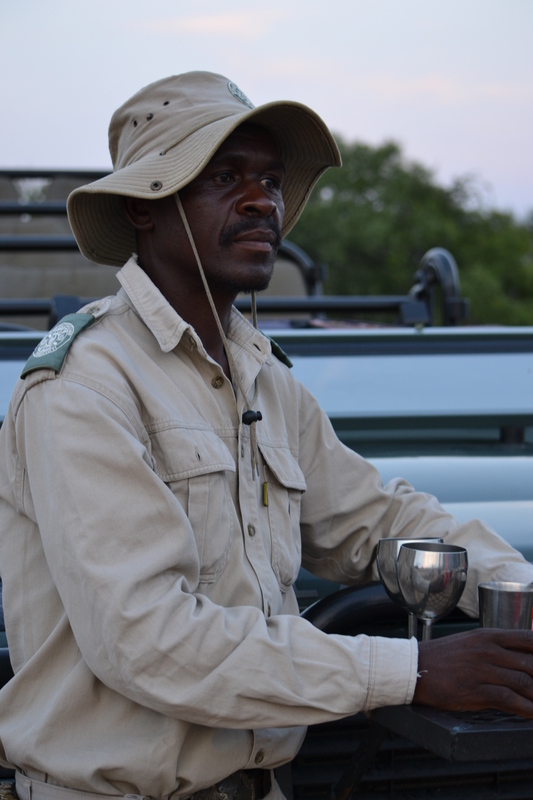 Read more about their amazing staff in this Africa Geographic article. 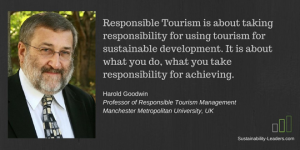 Responsible Tourism without Professor Harold Goodwin would be like the peace movement without leaders like Nelson Mandela, Martin Luther King or Mahatma Gandhi. Harold Goodwin’s conferences, research and writing have become crucial instruments for making sure that those in charge of travel companies and tourist destinations won’t forget their social and environmental responsibilities when dreaming up new ways of making money. 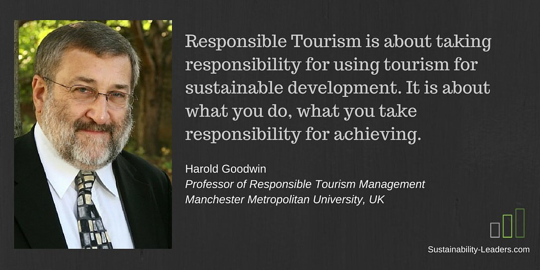 In this interview, Harold Goodwin tells us how it all started and how his views on sustainable – responsible – tourism have changed over the years.